Another round that kept us on the edge of our seats. The players have definitely came here to play, and once again the spectacle on the chess board was one not to be missed. 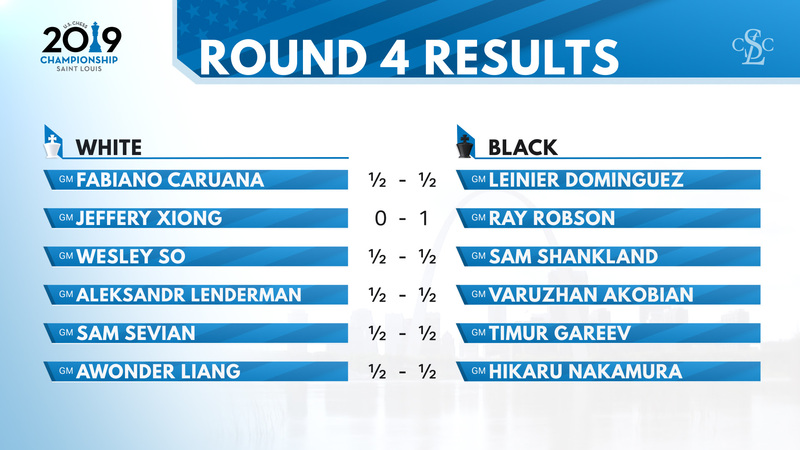 Despite seeing only one decisive result, the open section kept our attention throughout the round, culminating with the incredible showdown between Caruana and Dominguez. In the women’s section, the games couldn’t be more combative, as the ladies are willing to embrace a riskier strategy in the hunt for those elusive victories. Let’s look at the most impactful games of the round! 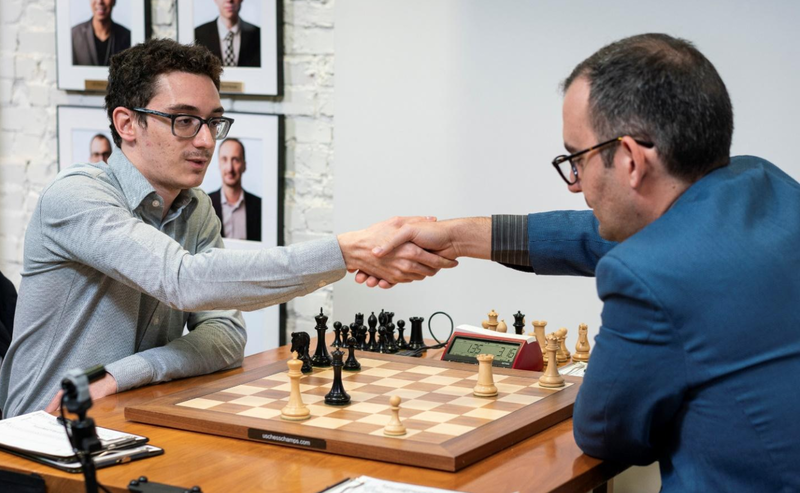 Caruana has been struggling to find his rhythm since last year’s Olympiad, and despite having some serious chances throughout those months, that elusive victory has escaped the young Challenger. 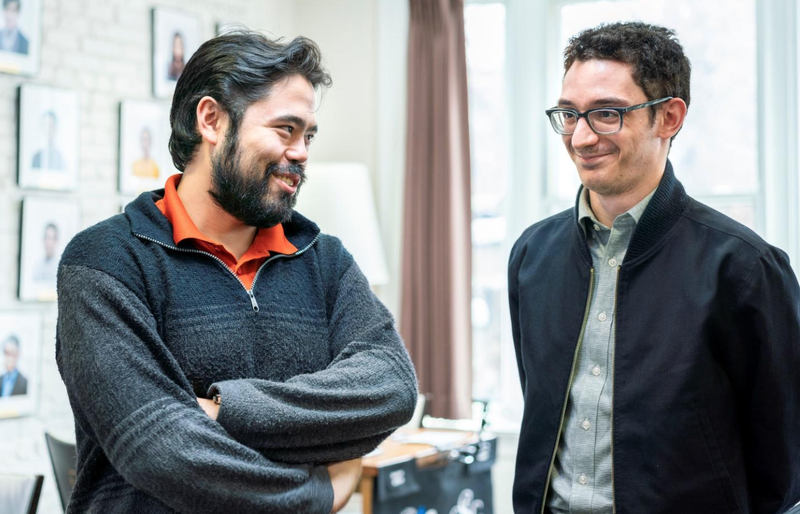 Today’s game was no different, as Caruana smartly prepared a new idea in the Catalan and surprised Dominguez. This led to a serious time difference, with Caruana having almost an hour more on the clock at move 24. Dominguez calmly defended his position, but failed to spot a beautiful tactic right before the time control when he played 27...Ra3? This allowed Caruana to obtain a commanding advantage; nevertheless, the ensuing final stage remained hectic due to both kings being severely exposed. With players reaching the time trouble zone once again, the pieces started flying and the winning moves started to be missed. Dominguez managed to find his way to equality and the players agreed to a draw at move 85. 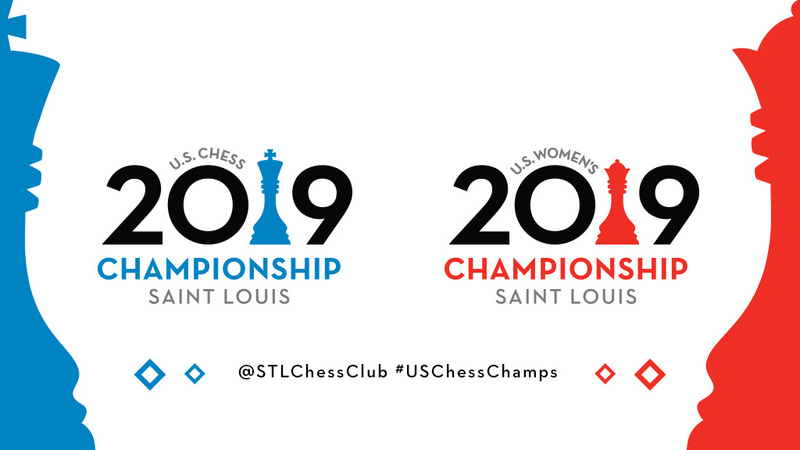 Xiong was coming into this round as the sole leader of the event, but the U.S. Championship is where rankings don’t matter when entering a new match. Everybody can beat everybody, and today was a clear statement of that. Robson chose the Berlin as his option, and Xiong responded with the less principled 6.dxe5/7.a4. This allows White to gain some speed, but gives away the bishop pair which is surely a compensating concession. 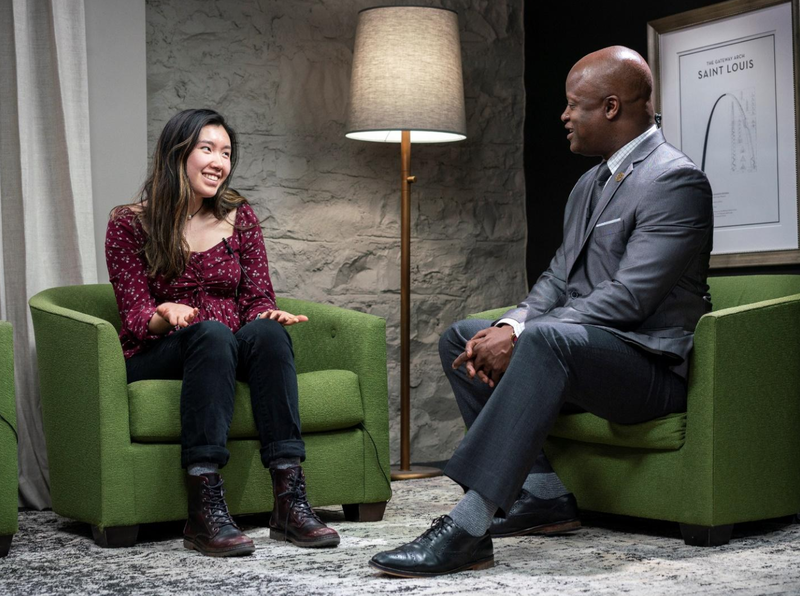 (Analysis available online). As the four-time champion, Zatonskih surely came into this event with a chip on her shoulders. Yip is also one that has to prove herself, as she has been in the event’s spotlight for a few years now. The game started with a Fianchetto Grunfeld, and it seemed as if Zatonskih was surprised by her opponent’s 7…Nc6 (instead of the main 7…c3) setup. Despite that, Zatonskih’s brand of technical chess was once again on display, as she methodically harvested advantage after advantage. First, it was the bishop pair, and soon after it was time to convert the strategic advantage into material ones. Zatonskih’s endgame technique could have been better, nevertheless her handling was enough for victory. This was a game without much history, as Nguyen collapsed early on in the opening and allowed the leader Yu to deliver a kingside attack clinic. GM Denes Boros once again delivers his trademark analysis available online. 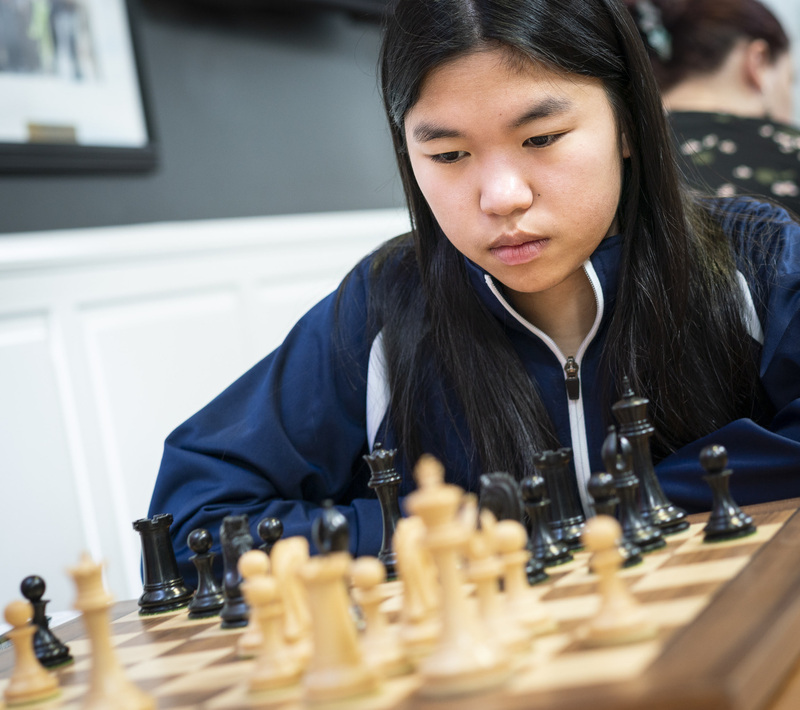 While there were five decisive results in the women’ section, the two leaders have continued to impress as Yu and Zatonskih flawlessly punished their opponent’s early opening mistakes. Other important results where the victories of Abrahamyan, Foisor, and Eswaran who dominated their respective opponents in what was another explosive round at the U.S. Women’s Championship! The games are heating up, and the crowded leaderboards will surely keep us on the edge of our seats for the rounds to come.